A pile up of aluminum in corners of the Chinese market is leading to a surge in prices and worries over a shortage in available supply. Aluminum futures rose to a two-year high on Wednesday on the Shanghai Future Exchange. Prices closed up nearly 5% to about to $2,023 per ton, trading at the highest levels since late 2014. Many analysts point to stricter Chinese road regulations as the main cause, as new weight limitations on trucks have delayed aluminum deliveries. To combat overloaded trucks and vehicle accidents, the country has limited the maximum weight to 49 tons, down from 55 tons. The enforcement began on September 21, and led to spikes in physical aluminum prices in regional markets in the following weeks. These shortage concerns, combined with improving China demand and higher energy prices, have led some speculators to jump into the market and send aluminum prices higher. Meanwhile, analysts say the new regulations may take awhile to adjust to, adding as much as 30% in costs for producers who rely mainly on trucks for delivery. 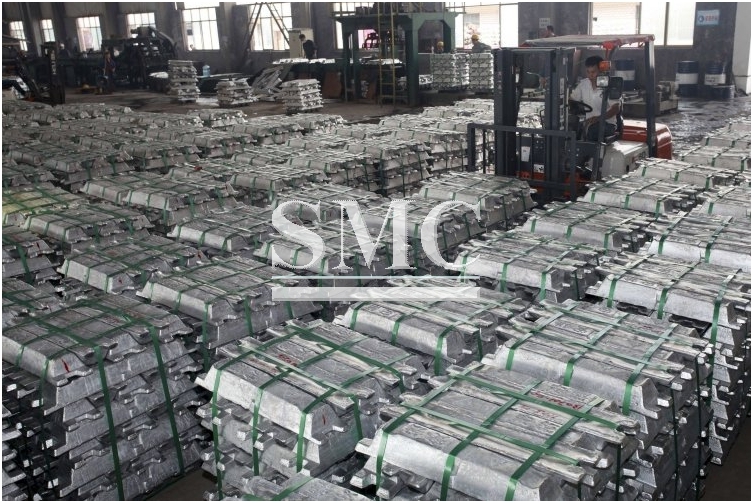 Smelters looking to move aluminum by train are also facing backlogs, according to aluminum consultancy AZ China. “Loads of ingots are waiting at rail stations across the region, waiting for spare rail capacity to take them to markets in the south east and elsewhere,” the company wrote in a report Tuesday. Aluminum stocks reported in China have been dropping, as the metal is trapped in production hubs by the limited availability of trucks. Reported aluminum stocks fell 21% from 327,100 tons in mid-September to 258,700 tons by the end of September, according to CRU Group. In a broader trend, aluminum bars have become less available in recent years, as much of delivery has taken a liquid form, said Caroline Bain, senior commodities economist at Capital Economics. Expectations for higher production costs may also be lending a hand to the recent rally. A run-up in coal prices this has sparked speculation over higher aluminum prices, since energy costs account for about 50% of aluminum production. Compared to other base metals, aluminum demand looks relatively strong, Ms. Bain said. Capital Economics expects to see 5% growth in Chinese demand for aluminum in 2017. The jump in aluminum prices in China has led to a divergence from other metal markets. The London Metal Exchange’s three-month aluminum contract closed up 0.6% at $1,697 a metric ton. Still, aluminum contracts traded on the LME reached the highest volume since 2003, according to brokerage Marex Spectron.